When George Harrold Carswell's name was first put forward for a seat on the United States Supreme Court, some newspapers commented that his confirmation was all but assured. For one thing, he had no stocks or bonds at a time when financial conflicts of interest were affecting the high court. His decisions had not endeared him to labor groups, but observers considered their opposition to be little more than token. The factor most in favor of Carswell's nomination, however, was the fact that the path had already been cleared for him. The Senate had already rejected President Richard Nixon's first nominee for the Supreme Court, and the chamber had not rejected a President's nominees twice in a row in 76 years. There was a perception that doing so would weaken the relationship between the President and Senate Republicans, and that it would delay decisions on important matters by leaving the Supreme Court deadlocked. Carswell had already been confirmed by the Senate to three federal judicial posts over the course of his career. He had passed background checks by the Federal Bureau of Investigation on each these occasions. And he perfectly fit the profile for Nixon's ideal nominee: a Southern judge with a constructionist view toward the Constitution, or interpretation that the founding document limited the role of the government. When he learned of the nominee's credentials, Attorney General John N. Mitchell enthusiastically recommended Carswell to Nixon. The judge, he declared, was to be "too good to be true." The statement was more accurate than he realized. Carswell was born on December 22, 1919, in Irwinton, Georgia. His father, George Henry Carswell, served for 30 years as a state legislator. The elder Carswell was also secretary of state at one point and twice ran unsuccessfully in Georgia's gubernatorial elections. Carswell earned a bachelor of arts degree from Duke University in 1941 before attending the University of Georgia Law School, but suspended his studies to join the Naval Reserve after the United States entered World War II. He sailed in the Pacific aboard the heavy cruiser Baltimore and attended several universities as part of his officer training, including six months of postgraduate work at the U.S. Naval Academy. When the war ended in 1945, Carswell left the service with the rank of lieutenant. Resuming his studies, Carswell earned a bachelor of law degree from Mercer University and graduated from the Walter F. George School of Law in 1948. He immediately started a private practice, then sought to follow in his father's footsteps by running as a Democrat for the Georgia legislature. After this bid failed, he moved his practice to Tallahassee, Florida. Prior to the 1952 election, Carswell sought to persuade his fellow Democrats in Florida to vote for the Republican candidate, Dwight D. Eisenhower. He soon switched his allegiance to the Republican Party. After he was elected, Eisenhower rewarded Carswell by appointing him U.S. Attorney for the Northern District of Florida. Carswell held this post until March of 1958, when Eisenhower nominated him for a seat on the U.S. District Court in the Northern District of Florida. The Senate confirmed the appointment, and Carswell began serving the role the next month. He was only 33 years old, the youngest federal attorney in the country at the time. In 1969, Nixon nominated Carswell for a new seat on the U.S. Court of Appeals for the Fifth Circuit, located in New Orleans. He was confirmed by the Senate in June. Carswell began his new job at the same time that the Supreme Court was going through an upheaval. Justice Abe Fortas of the Supreme Court had resigned in May of 1969 after it was discovered that he had a connection to a discredited financier. Fortas had agreed to perform services for the family foundation of Louis E. Wolfson, who had been convicted of stock manipulation. Nixon's first choice to fill the vacancy left by Fortas' departure was Clement F. Haynsworth, Jr. The conservative Democrat and South Carolina judge had been serving on the Court of Appeals for the Fourth Circuit. Senators were concerned that Haynsworth had exhibited a conflict of interest in several cases where he owned stock in companies appearing before the court. Labor and civil rights groups added their voices to the opposition, saying Haynsworth had been biased against them in his decisions. On November 21, 1969, the Senate rejected the nominee with 55 senators opposed and 45 in favor; 17 of the 43 Republicans in the Senate broke ranks to vote down the President's first choice. Unrepentant, Nixon blamed the defeat on an "anti-Southern, anti-conservative, and anti-strict constructionist" prejudice in the Senate, even though some constructionists had joined the opposition. He ordered an aide, Harry S. Dent, to "find a good federal judge farther to the South and further to the right." Carswell fit the bill, and Nixon put his name forward on January 19, 1970. When the nomination went before the Senate Judiciary Committee, Carswell's attitude toward racial relations became an immediate point of concern. He had a distinctly mixed record on civil rights, applying Supreme Court decisions to his own district but showing less concern for equality if these precedents did not apply. In one case, he had ruled against his own barber in favor of the National Association for the Advancement of Colored People, saying the shop could not deny service to black customers. He had also decided that the Tallahassee city commissioners could not make distinctions based on race in their decisions, and Yale professor James W. Moore credited Carswell with making the University of Florida Law School free of discrimination. However, he had also dismissed cases that sought to force a theater to sell tickets to black moviegoers and reopen swimming pools closed by a "wade-in" protest. The Leadership Conference on Civil Rights, charging him with a bias against blacks making civil rights claims, had formally opposed Carswell's promotion to the Court of Appeals. Representatives of civil rights groups expressed their concerns before the committee. They painted Carswell as a judge who was openly hostile to civil rights claims and any Northern lawyers representing them, saying he had shouted at black lawyers while acting cordial toward white ones, delayed civil rights cases without cause, and even turned his back on civil rights lawyers in the midst of their arguments. Rutgers University law professor John Lowenthal said Carswell was "extremely hostile" to a 1963 habeas corpus petition to free seven people charged with criminal trespass for urging black citizens to vote. He said Carswell had eventually granted the petition but refused to let the court marshal serve the release order, forcing Lowenthal to deliver it to the sheriff. LeRoy D. Clark, a New York University Law School professor who represented the National Conference of Black Lawyers in his appearance before the committee, declared Carswell to be "the most hostile federal district judge I've ever appeared before with respect to civil rights matters." Statements that Carswell made in his 1948 legislative campaign raised the question of whether Carswell was being blatantly racist in this behavior. In a speech, he had endorsed segregation as "the only practical and correct way of life in our states" and further declared that he was committed to a "firm, vigorous belief in the principles of white supremacy." Surprisingly, these statements proved only a minor hurdle. Carswell denounced his former statements as "obnoxious and abhorrent to my personal philosophy" and said he had lost the race in part because he was considered too liberal in spite of such declarations. His supporters said Carswell shouldn't be judged for statements he had made 22 years before the confirmation hearings. Carswell's record showed a high rate of reversal when it came to his decisions, especially on civil rights. A study by students at the Columbia University Law School found that 58 percent of his decisions had been overturned on appeal. Among all federal jurists, Carswell had the eighth most cases reversed by appellate courts. Supporters dismissed this finding, arguing that Carswell considered civil rights cases fairly and that the reversals came about after the high courts set precedents for the speed required in integration. Senators opposed to Carswell also questioned whether his record qualified him for the highest judicial post in the country. At the time of his nomination, he had only been on the Circuit Court for six months. 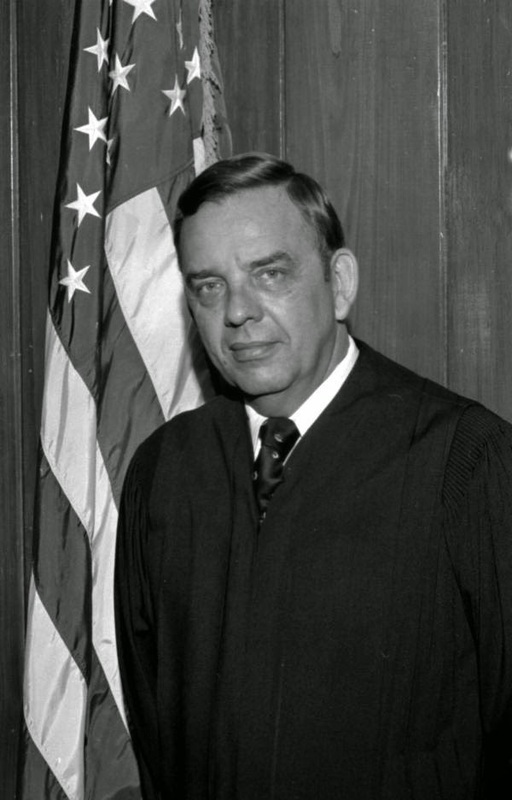 Frank Church, an Idaho Democrat, described Carswell's judicial record as "utterly pedestrian" and said that Nixon should have recommended a nominee that could meet a standard of "singular excellence." Louis Pollack, the dean of the Yale University Law School, also dealt a blow to Carswell by describing him as having "more slender credentials than any nominee for the Supreme Court put forth this century." Despite these shortcomings, the Judiciary Committee delivered a 13-4 decision on February 16 to send the nomination to the Senate with a recommendation that Carswell be approved. The committee's majority report concluded that his record on civil rights showed him to be even-handed. Carswell's opponents were outraged. Clarence Mitchell, director of the NAACP's office in Washington, said the decision was "a kick in the teeth of those of us who have sought to quell the fires of racism among Negroes in the United States." Senator Birch Bayh Jr., an Indiana Democrat, warned that Carswell's nomination would "encourage violent extremists." Senator George S. McGovern of South Dakota, who would go on to face Nixon as the Democratic candidate in the 1972 presidential election, said of Carswell, "I find his record to be distinguished largely by two qualities: racism and mediocrity." The opponents had taken a strategy of delaying the nomination process to allow more thorough vetting of Carswell to take place. After the Judiciary Committee's nomination, they won some extra time due to lengthy debates over amendments to the Voting Rights Act of 1970. It was enough to bring up more concerns regarding Carswell's character. Additional racial issues surfaced. While acting as U.S. Attorney in 1956, Carswell had taken part in the transfer of a public golf club in Tallahassee—which had received $35,000 in federal funds for its construction—to a private organization that barred black members. It was a rather transparent effort to skirt desegregation. Carswell had also signed papers incorporating a "whites only" boosters club for the Florida State University football team and sold property in 1966 with a restrictive covenant forbidding a sale to a black buyer. One paper found that in a speech to the Georgia Bar Association only two months before the nomination, Carswell had opened by saying, "I was out in the Far East a little while ago, and I ran into a dark-skinned fella. I asked him if he was from Indochina and he said, 'Naw, suh, I'se from outdo' Gawgee.'" Carswell won significant support from his fellow judges, but it was not unanimous. Only eleven of the 15 judges on the Court of Appeals expressed their support in March. A month later, 50 of the 58 active federal district judges in the Fifth Circuit supported him. Meanwhile, thousands of lawyers and hundreds of law professors sent letters to the Senate saying they did not think Carswell was qualified for the high court. One public statement, signed by 350 practicing lawyers and law school professors, said he did "not have the legal or mental qualifications essential for service on the Supreme Court." Former Supreme Court Justice Arthur J. Goldberg admitted that he considered Carswell unfit for the post. Some of Carswell's supporters also blundered in their embarrassing defense of the nominee. Speaking to reporters about Carswell's record, Republican Senator Roman Hruska of Nebraska sought to justify what detractors were calling a lackluster record. "Even if he were mediocre, there are a lot of mediocre judges and people and lawyers," Hruska said. "They are entitled to a little representation, aren't they, and a little chance? We can't all have Brandeises and Frankfurters and Cardozos and stuff like that there." Senator Russell Long, a Louisiana Democrat, also advocated for Carswell in a backhanded way, saying the Supreme Court already had enough "upside-down, corkscrew thinkers." He asked, "Would it not appear that it might be well to take a B or a C student who was able to think straight, compared to one of those A students who are capable of the kind of thinking that winds up getting us a 100 percent increase in crime in this country?" When the vote went before the full Senate on April 8, Carswell proved to be more popular than Haynsworth. However, he did not get enough support for approval. The final tally was 51 against the nominee and 45 in favor; 13 Republicans had joined 38 Democrats in the opposition. For the first time since Grover Cleveland's second term, a President's Supreme Court nominees had been rebuffed by the Senate twice in a row. Nixon again blamed the rejection on regional bias, commenting that he didn't think the Senate would approve any Constitutional constructionist from the South. Carswell and Haynsworth had both endured "vicious assaults on their honesty and their character," he said, and he would not nominate another Southerner if it would submit him to "the kind of malicious character assassination accorded to both Judges Haynsworth and Carswell." Critics condemned the remarks as inaccurate and indicative of Nixon's own biases. Bayh said Nixon's determination to get a Southerner in the Supreme Court was "the most damning evidence of a Southern Strategy that we've had," referencing the President's appeasing the pro-segregation groups in the South to help him win the 1968 election. Some Southern senators who had voted against Carswell also disputed Nixon's accusation, saying he could have found better constructionist nominees from the South. Nixon would subsequently nominate Harry Blackmun, a Minnesota judge on the Court of Appeals for the Eighth Circuit; he would be approved unanimously in May. Less than two weeks after Carswell was turned down, he made a surprising decision. Though he had lifetime tenure on the Court of Appeals, he resigned on April 20 to pursue a Senate bid in the 1970 election. He had agreed to do so at the urging of Florida's Republican governor, Claude Kirk, who hoped he would take the place of retiring Democratic Senator Spessard L. Holland. Carswell said he would support Nixon's policies, agree to a withdrawal of troops from Vietnam if an "honorable settlement" could be reached, and advocate for "common sense and conservative approaches to problems of education, crime control, and fiscal matters." He also had an ax to grind with the chamber that had rejected him, saying the Senate needed "more deliberation and less ultra-liberalism." The effort was for naught. Representative William C. Cramer defeated Carswell by a nearly two-to-one margin in the Republican primary, earning 220,553 votes to Carswell's 121,281. Cramer would ultimately lose to Lawton Chiles, the Democratic candidate whose campaign had included a lengthy hike through Florida to meet with residents across the state. Carswell resumed work as a private attorney. Later in the 1970s, two incidents emerged suggesting that Carswell was a closeted homosexual. The first occurred in Florida in June of 1976, after vice officers staked out a men's room in a Tallahassee shopping mall following complaints from merchants that homosexual liaisons were taking place there. After meeting with a male vice officer at the mall, Carswell drove him to a wooded area north of the city. He was promptly arrested on charges of battery and attempting a lewd and lascivious act. Carswell was briefly hospitalized for a nervous condition after the incident. He allegedly told the officers, "I'd rather be dead than in the clutches of vice officers under such circumstances. I may just kill myself tonight. This is not true. You've got it all wrong." Four months later, he pleaded no contest to the battery charge and was fined $100. The second incident occurred in September of 1979. After meeting a man in the skating rink of an Atlanta hotel, Carswell invited him up to his room. Carswell told police that he was then attacked and struck several times with a sharp object. Carswell continued practicing law until his death, of lung cancer, on July 13, 1992.